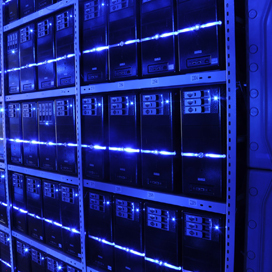 The Defense Information Systems Agency has released a request for proposals for a potential 10-year, $639.6 million recompete contract for managed enterprise storage platforms and services. A FedBizOpps notice posted Thursday says the Enterprise Storage Solutions III firm-fixed-price contract covers hardware, software and operating systems needed to support the storage infrastructure as well as support services for all application workloads. ESS III will be a single-award, indefinite-delivery/indefinite-quantity contract that has a base period of five years and five option years. DISA will accept comments on the solicitation through Aug. 22 and proposals through Sept. 10. World Wide Technology won in 2014 the $427 million ESS II contract, which is set to expire in December.